Get $15 Free With Chase Freedom Card! 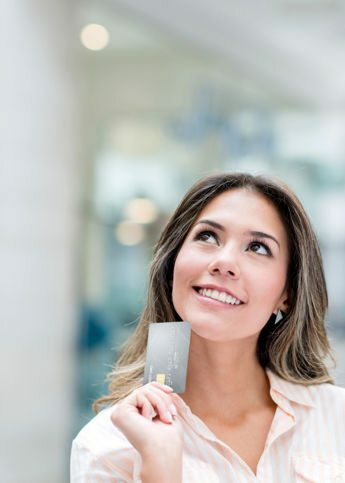 You can earn a $15 statement credit after you shop with your Chase Freedom card using Visa Checkout. Visa Checkout is a way to save time when shopping online. Because it remembers your payment and shipping details. I hate having to re-enter all that information! Where Will You Spend Your Free $15 From Chase Freedom & Visa Checkout? You can shop at 100+ online stores from Fandango for movies, Orbitz, Virgin America, Neiman Marcus, Gymboree, and more. You have until December 31, 2015. There’s a limit of 1 statement credit per customer. And be patient because it can take up to 2 billing cycles to see the $15 back on your account. See all the terms here. Remember, to qualify for the deal you must use your Visa Checkout account and Chase Freedom card to pay! I like the Freedom card because of the quarterly 5X bonus categories. Then I move all the Chase Ultimate Rewards points I’ve earned with the Freedom to my Chase Sapphire Preferred card. And that allows me to transfer my Chase Ultimate Rewards points to airline & hotel partners like United Airlines & Hyatt for Big Travel With Small Money! Just curious, can you double dip with this deal? For example: shopping on Ultimate Rewards portal using for example Newegg and then clicking Visa Checkout on Newegg’s website? I’m also curious if we can “double dip” with primary card holder and authorized user. I remember a while back AMEX checkout had a $10 back deal and both were eligible. Could AU, authorized user, get an offer too? or only 1 card# per offer since AU have same CC# as PU, primary. The term says, “Limit (1) $15 statement credit per customer or card account.” But what if I have two freedom cards? Can I get credit for both by using the same Visa Checkout or register a Separate Visa Checkout account? Any one familiar with such type of promotions?